The short route: Take the N2 through Somerset West, over Sir Lowry's Pass and through the mountain ranges. Then take a slight left onto the R43 the Kleinmond Area and carry on straight along the R43 until your reach Hermanus. You'll pass through Hawston, Onurs and Sandbaai before you reach it. The scenic route: Although slightly longer this route takes you along a beautiful coastal, winding road that passes by Betty's Bay (known for its pristine beaches). For this route take the N2 until you get to the end of Somerset West then turn right into Sir Louwry's Pass. Carry on along that road (the R44) until you reach a t-junction. At the t-junction turn right onto the R43 and carry on until your reach Hermanus. You'll pass through Hawston, Onurs and Sandbaai before you reach it. Although activities and tours are almost year-round, the best time to visit our Fisherman's Village would be from June until November with the season peaking in September and October. However, remember to book well ahead as accommodation is limited during peak seasons (June - July, September and December holidays). Hermanus unfortunately doesn't have a daily shuttle service from Cape Town to Hermanus but there are many shuttle services and car rental agencies that you can choose from to help you get around. A popular choice is the Hermanus Tuk Tuk service, which is a 3-wheeled vehicle that is affordable and fun to hire. Don't walk alone at night or along the cliff path after dark. Care should be taken with valuables when visiting crowded areas such as flea markets - keep your belongings close and your bags closed. At your accommodation use the safe provided (if any) or insure that your room is locked before departing for the day. If you become lost don't panic - just make your way to the nearest shop and they will be happy to help you on your way. You can also contact the Hermanus Tourism Bureau if you are in need of maps or guidance. Hermanus is proud to offer our visitors and locals many shops, restaurants, bistros, boutiques and more. Visit our comprehensive Business Directory for all of the listed business in the area, as well as their direct contact details. There are also several public restroom facilities situated throughout Hermanus (usually located at the shopping centers and service stations). Hermanus is a fantastic beach holiday destination and offers laid-back seaside living. During Spring (from September until late October) we'd suggest a bit of both - light clothing and warmer clothing - as the weather can be unpredictable. Light summer clothing, hats, flip flops and plenty of sunblock will be needed during the summer months (from around November until February), as well as mosquito repellent and some good walking shoes. During autumn and winter (between May and August) you'll want to bring warmer clothing along, as well as scarves and weather proof jackets. Although Hermanus doesn't witness snow, the surrounding mountains can sometimes be covered in ice during winter, which can cause the town to become a bit colder than usual. However, lighter clothes are also suggested as there can be the occasional warm day. There are also clothing shops and boutiques should you forget anything for your trip. We would love to have you stay in Hermanus for as long as you'd like BUT it's best to book ahead as far as possible as accommodation is limited, especially in season. Unfortunately Hermanus.co.za is unable to book your activities and accommodation for you but we can point you in the right direction. Visit our Accommodation Page and our Activities Page for a comprehensive list of the options in Hermanus and the surrounds. Hermanus has made sure that you can get around in any way necessary to be able to see the whales and enjoy the area. Bathrooms for disabled visitors can be found at the Market Square and Municipal Library whilst recreational facilities where the disabled can be accommodated are at the Village Craft Market, Fernkloof Nature Reserve and many other areas, which you can read about here. The Hermanus Tourism Bureau is located at the Old Station Building near the Checkers Mall and offers you a variety of great options for activities and accommodation. Their office is also jam packed with brochures and maps for all things Hermanus so feel free to pop in when you're in the area. If you'd like to find out more then visit their official site. 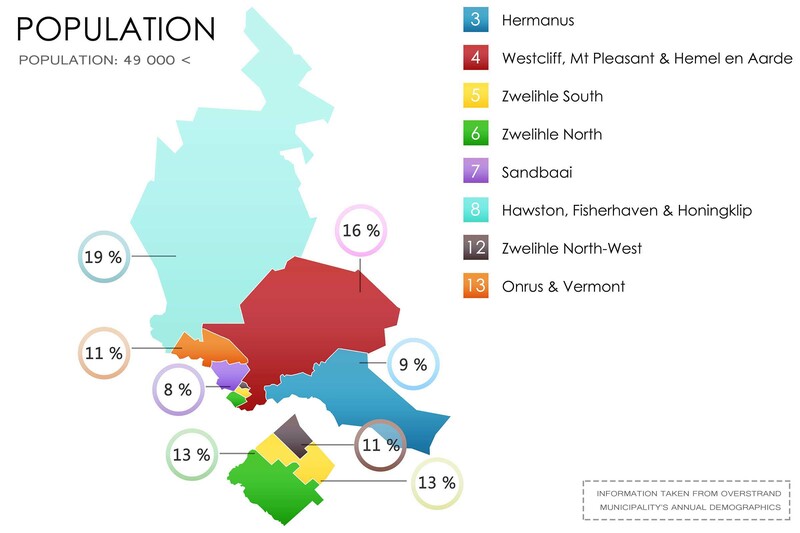 There are several areas that fall under the Hermanus jurisdiction, which you can see here. You can also read up about the different suburbs in our Suburbs Article. Hermanus offers a typical Mediterranean climate with long dry hot summers and long sunny days offering approximately 11 hours of sunshine. Occasional thunder storms can also be experienced during this time. This is usually followed by pleasant autumn days and mild winters with light to moderate showers. Extreme temperatures are seldom experienced in Hermanus, meaning that the mild climate is perfect almost year round. The local currency in Hermanus and South Africa is the South African Rand (ZAR) and 14% VAT is included on almost all purchases. Hermanus therefore offers international tourists Forex facilities as well as many banks at which you can handle your financial business. In case of emergencies there are public and private hospitals in Hospital Road, Westcliff, Hermanus that you can go to. We also offer emergency services (such as ambulance call-outs, a fire brigade and police aid) should the need arise. There are also many medical facilities to help you with any and all ailments. Education in Hermanus is extremely important and we therefore offer learners of all ages the opportunities to grow their skill and knowledge bases. Click here for a list of educational facilities in the area. Hermanus loves its animals and there are many areas in town that are pet friendly. As long as your dog(s) is/are on a leash then you can basically go almost everywhere, including the Cliff Path. However, Blue Flag beaches (Grotto, Kleinmond and Hawston) do not allow dogs within designated areas. For pet friendly accommodation visit this link. 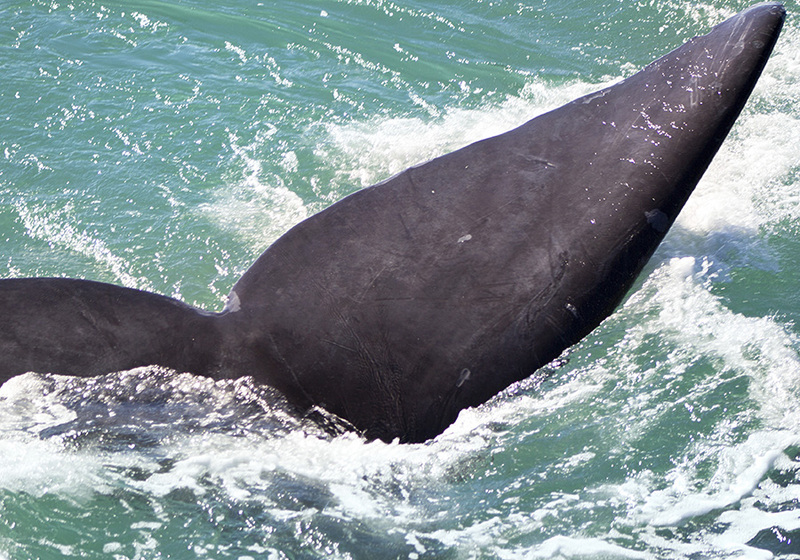 The Southern Right Whales start arriving in our bay from around June/July and stay with us until mid-November. You can usually see the most whales during peak-season (from August until September) but these times vary depending on a lot of different factors, including weather. 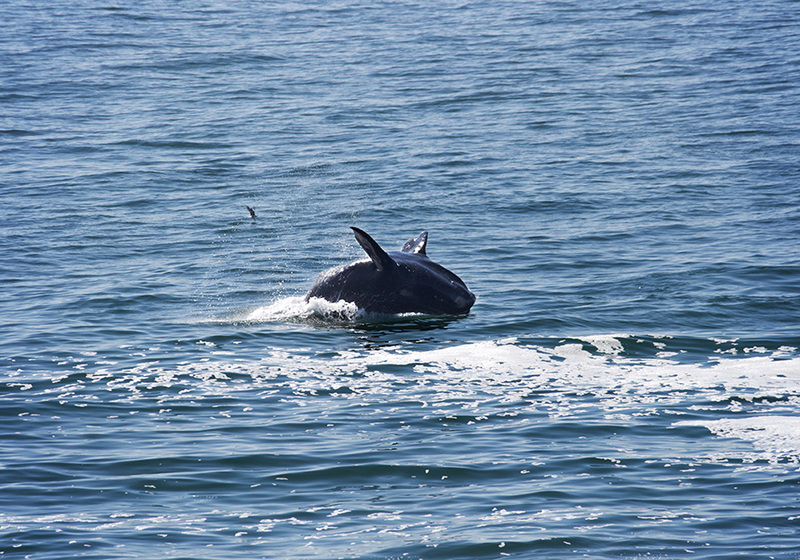 The Hermanus Whale Festival falls within September, which is the best month in which to see our very large visitors. However, if you're planning to stay then we'd suggest that you book your accommodation well beforehand to insure that you get a room as this is also one of our busiest times. If you're not up for the hustle and bustle then feel free to come through during July, August or October, as the whales are still in the bay during this time. Although seeing the whales from a boat is an amazing experience, some of us prefer the stability of land beneath our feet. Therefore we've created a Land-Based whale watching map that you can use at your leisure. Areas include the Cliff Path, Old Harbour and several coastline lookout points. Our town offers you several great cruises to choose from, most of which depart at around the same times: 09h00, 12h00, 14h00 and 16h00 (weather dependent). 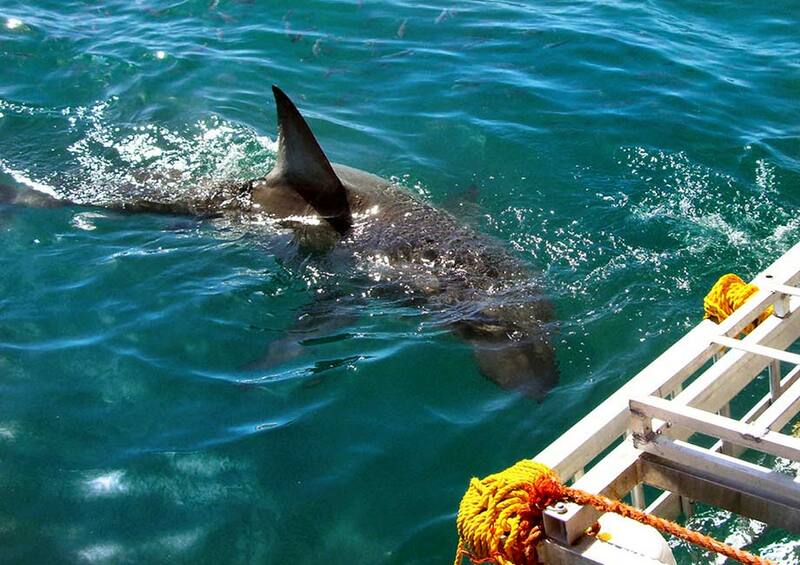 The cruise companies include Hermanus Whale Cruises, Southern Right Charters, Whale Safari and Whale Watchers Hermanus. The Whale Crier is a world-famous title given to the person who "calls" the whales and let's others know when the whales can be seen. So, whenever you hear him blow his kelp horn near Old Harbour all you have to do is follow the sound to find the whales. For more on this historic title, click here. 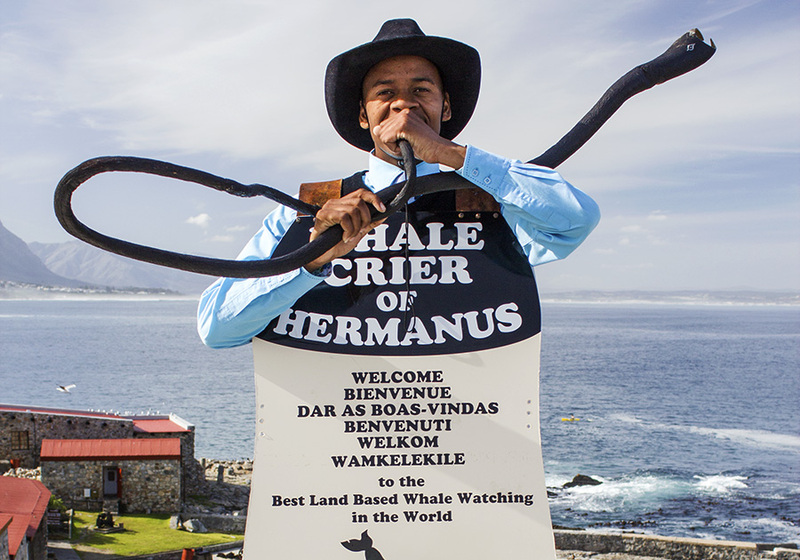 The Whale Crier occasionally does walking tours along the coastal areas of Hermanus, teaching you a little bit about the history of the area as well as showing you some of the best places to watch the whales from land - this is definitely an experience worth having. If you'd like to book a tour please click here. There are all types of accommodation options for you to choose from; from Backpackers to private apartments. You can usually find exactly what you're looking for but it is always suggested that you book well in advance to avoid disappointment. Unfortunately Hermanus.co.za cannot book the accommodation for you but we can point you in the right direction - so if you need assistance feel free to contact us. Hermanus boasts a variety of chain clothing stores (such as Mr Price, Pick n Pay, Ackermans, Woolworths etc.) as well as many other boutique shops and stalls. For a list of all that there is to offer click here. There are few seaside villages that offer the variety of restaurants that Hermanus does. Hermanus is known for offering delectable seafood, fresh sushi, authentic Italian food as well as gourmet cuisine in the five star hotels. 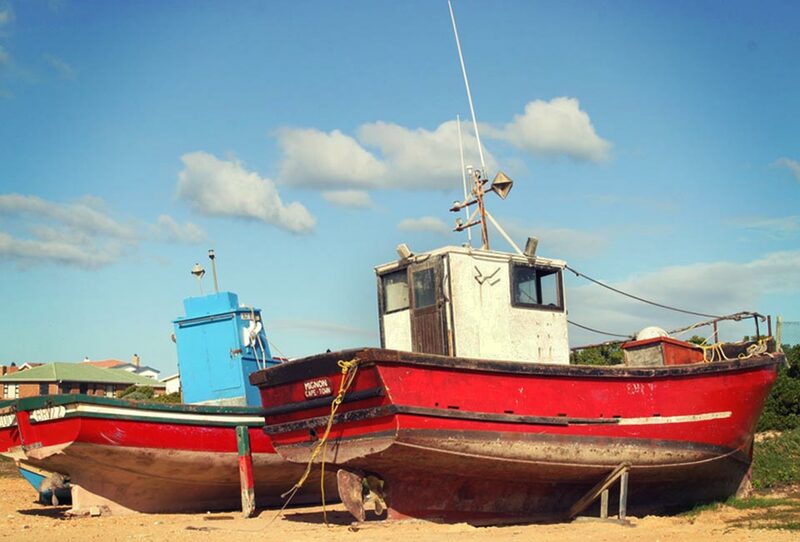 For those looking for a more laid-back seaside experience, a variety of beach bistros and fisherman’s cottages are available where you can catch up with the locals on the latest Hermanus news. There are also many specialty shops around Hermanus that sell some local produce unlike any other. Tipping is never compulsory but it is very much appreciated. It is usually given when there has been great service from your server, as a show of appreciation. Tips here are usually around 10% of the bill or more (but it's up to you how much you leave). Just keep to these basic guidelines and you should be fine! From Family Day trips to beach excursions, Hermanus offers you and your family a myriad of great experiences to enjoy. Feel free to read through some of the activities you can look forward to here. Directly translated, the title means Heaven and Earth, which is the perfect description of this luscious valley. 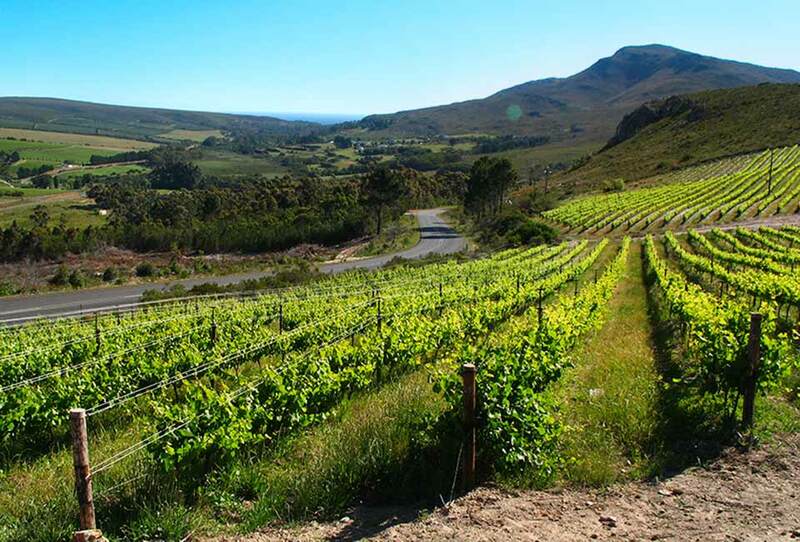 The Valley itself is home to over 10 wine farms, all with their own unique wine collections. Along this route you can fine wineries, tastings, pairings and tours, as well as several markets on weekends. The Wine Route Experience is something that any wine connoisseur should enjoy, especially when so many of the wines you'll be tasting are award winning and world-renowned. The route begins at the turn-off to Caledon, along the R320, which takes you past all the desired vineyards. For more on the route and what to expect click here. Hermanus adores its festivals and therefore there is no shortage of them throughout the year. Most of the festivals are free to enter and offer up stalls pack full with goodies to take home with you. You can find out more about all of them here. The Cliff Path has a beautiful history behind it, having been created in 1960. The path has grown since then and is now also included in the Fernkloof Nature Reserve's area. The path itself winds its way along the coastline of Hermanus, from New Harbour all the way to Grotto Beach. You can even walk it with enough supplies and some good shoes. For more information please visit Fernkloof's official site. If you're tired of shuffling your feet along the sidewalk then why not take a ride on a rent-a-bicycle? These bikes are rented out on a daily basis and can get you from A to B quicker as well as make it easier to carry around supplies for your explorations. You can usually find these bicycles at bike shops in the area. Hermanus is teeming with enjoyable and exciting activities for all walks of life. You can choose between an adrenaline pumping abseiling session or a slower-pace quad bike ride through the valley. Whatever your fancy, there is probably something out here for you to enjoy! Click here for more. Hermanus may be small but it takes on a whole new life of its own at night. There are a couple of places to go to dance and be merry, namely Shimmis dance club. However, there are also many pubs in the area for you to enjoy a leisurely drink at. If you want to take it slow during the day in Hermanus then why not play a round of golf at the Hermanus Golf Club (which boasts 27 holes! ), which is situated at the foot of the Fernkloof Reserve. Or you can enjoy a relaxing day at the beach, hiking or walking Hermanus or taking in the scenery from Rotary Way. There are many annual events that happen in Hermanus but there are also events that take place on a daily, weekly or monthly basis. You can find out more about them by viewing our Events Calendar. 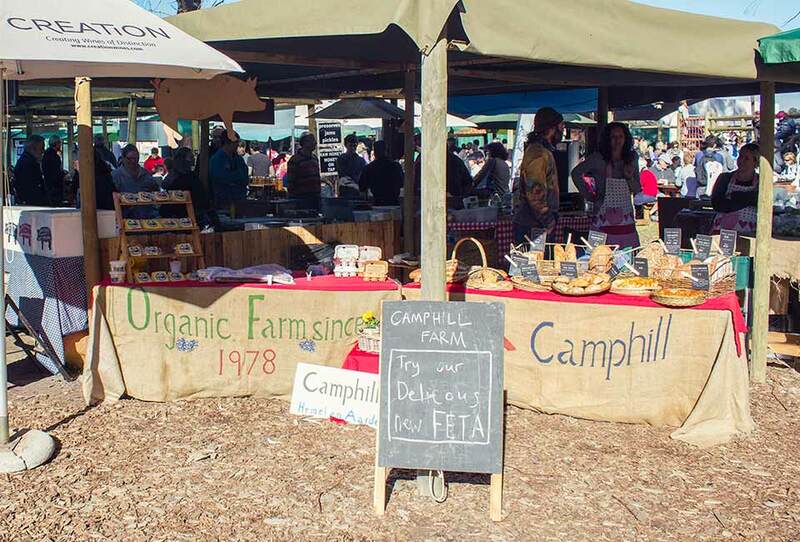 Markets spring up in Hermanus every Saturday from around 08h30 until midday, and go from small and farm-based to large and almost-everything-based. You can find toys, clothes, fresh produce, plants, local brews, pancakes and much more at the markets, making for a perfect morning event. The Old Harbour was the original destination for all returning fishermen, even though it was never an easy task to get into the calm waters beyond the wall. However, as boats got bigger it became apparent that a safer and more secure location was needed and so the Old Harbour became a memorial, with a museum on its banks to commemorate the history of the area. The New Harbour was built in order to house the larger boats and ships that are now popular for whale watching, as well as the yachts and other vessels that pass through. It is overlooked by Harbour Rock and Gecko Bar; two very popular and atmospheric locations. The harbour can be reached via several routes, with the most popular being along Marine Drive. Township Tours in Hermanus takes you through Zwelihle, an informal settlement that has seen rapid growth over the past couple of years. During these tours you are able to experience what it's like within a township as well as taste some of the local cuisine and experience the culture of the 20 000 + inhabitants in the area. Although Zwelihle is small it contributes around 37% of the population (see demographic here). There are beaches dotted along the Hermanus coastline from Onrus to Voelklip, with the most popular being Grotto Beach (as it's the largest and most easily accessible). Read more about the other beaches here. The Fernkloof Nature Reserve in Hermanus is one of the most versatile in the world, housing over 1800 species of fynbos in one of the smallest areas. This reserve also forms part of the Cape Floral Kingdom. At the foot of the reserve you can find the Fernkloof Gardens and Nursery, both of which have many beautiful and colourful flowers and other plant life on display to appreciate and even purchase. There are other gardens and parks throughout Hermanus, mostly public lawns and the Old Harbour ampitheatre. Fynbos acquired its name from the Dutch word fijnbosch, meaning “fine bush”. Fynbos is a massively varied species, with each subspecies differing hugely depending on the location that it grows in. 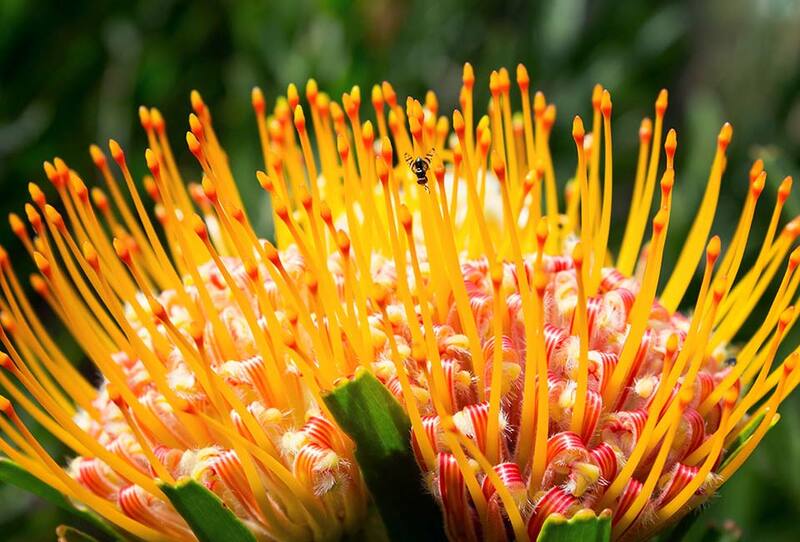 The King Protea (which is a subspecies called Proteaceae) is our national flower due to its massive flowers and beautiful colours. 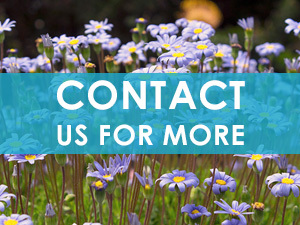 For more on Fynbos click here. The Hermanus landscape goes from flat and coastal to mountainous and forest filled, making it an ideal habitat for over 130 species of endemic (found only here) birds, mammals, reptiles and amphibians. You might come across Grey Rhebok, Cape Grysbok, Klipspringer, Baboons, Mongoose and Dassies, whilst the more nocturnal and private Porcupine, Genet and Hare might be more difficult to find. Read more here! The water in Hermanus is drinkable but it does go through standard purification processes which you may or may not like. However, our shops in the area have plentiful supplies of bottled water (large and small portions) that you can drink instead. Hermanus may be a small fishing village but it does have many roads and paths that you can explore. Therefore we've created a couple of maps to help you to get around, with more on the way. Click here for the map of Hermanus and here for the Land-Based Whale Watching map.